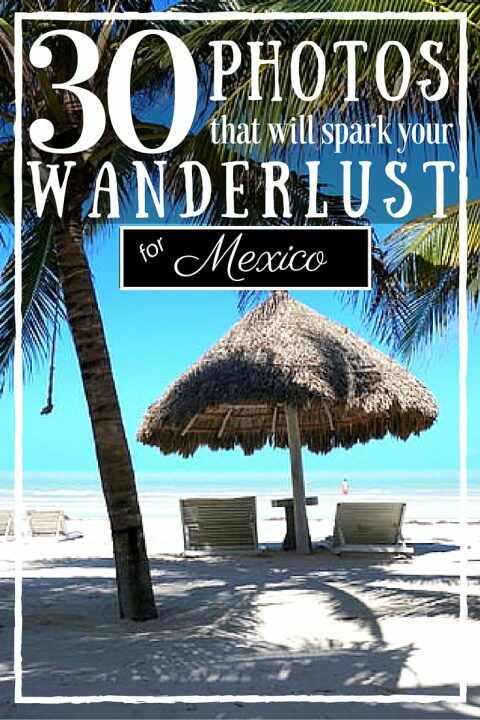 Mexico is colourful and diverse with much to offer travellers, retirees and expats. From the Caribbean Sea to the Pacific Coast, the mountainous highlands to the vast deserts, there’s something for everyone in this incredible country. The history is rich, the cuisine is flavourful, the people are friendly and the culture and traditions are still very much a part of every day life. A fantastic mix of European pastimes, such as going to the symphony or sipping coffee from a street-side cafe, are as commonplace here as men riding horses down the street and women strolling past in authentic clothing. 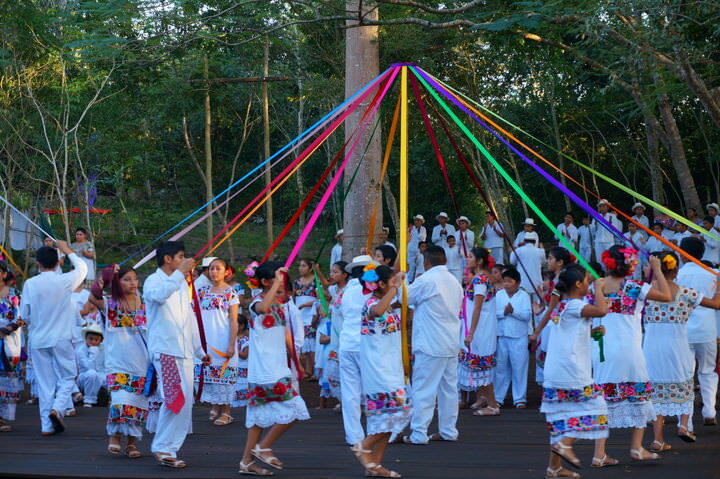 Mexico still very much holds onto its traditions, especially outside of the gringo towns. You could spend a lifetime exploring all that Mexico has to offer, and still have much to see. Here are 30 photos that are sure to spark your love affair with this intriguing country! 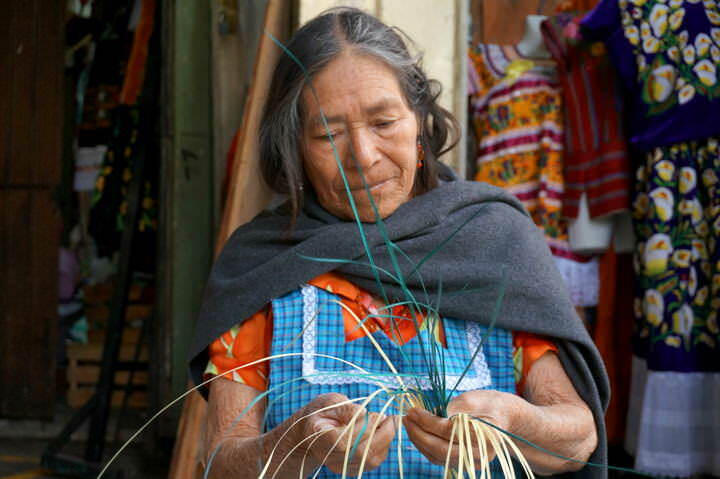 A local woman in Oaxaca City weaves a basket at the market. 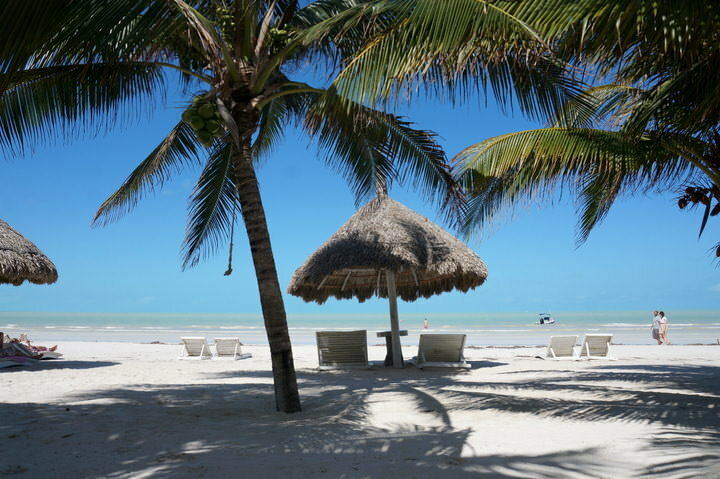 Holbox Island is very chilled out and beautiful. It’s the perfect place for a relaxing vacation. 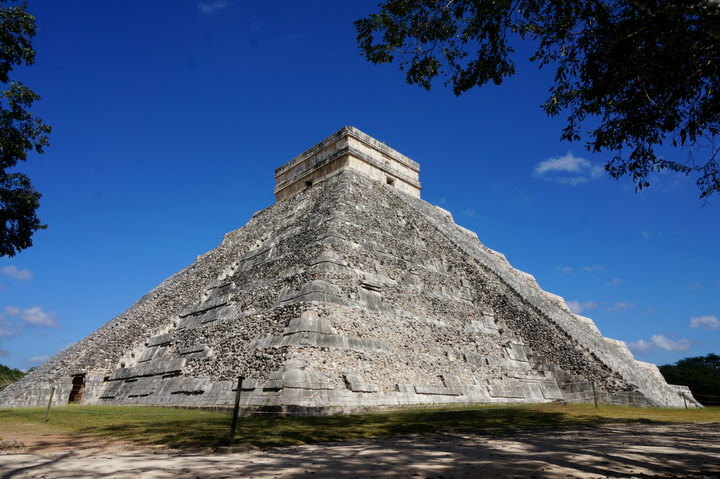 When in Mexico, you have to see one of the Wonders Of The World, Chichen Itza! 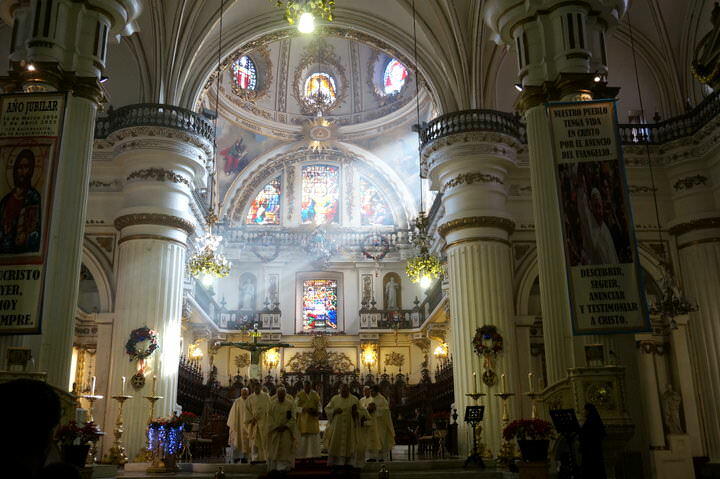 Beams of sunlight shining in on a Sunday morning service at the incredible Cathedral of the Assumption of Our Lady in Guadalajara. Mexican food is one of the best cuisines in the world. Make sure to try the tamales. 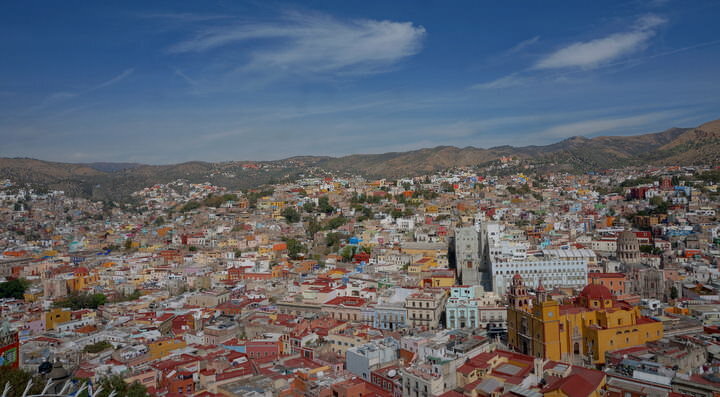 The colonial, colourful, mountainous city of Guanajuato is a must-visit! It’s simply stunning. 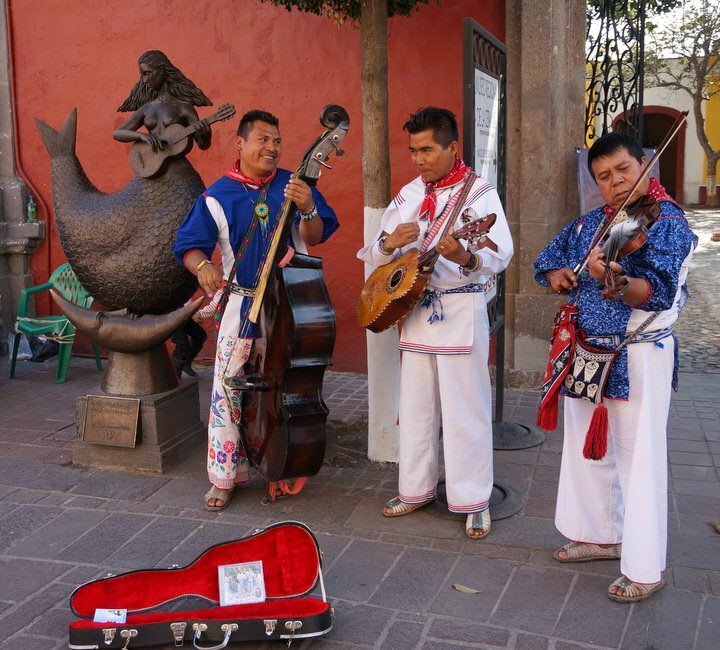 Musicians on the streets of Tlaquepaque. 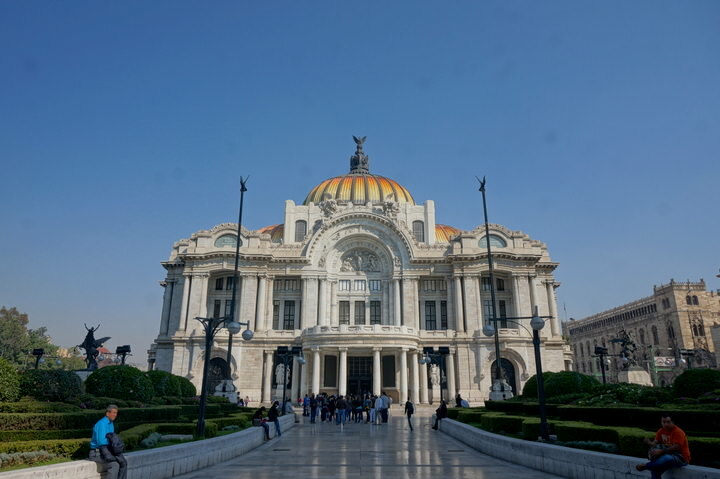 Mexico City is filled with beautiful architecture, like the Palacio de Bellas Artes. Flying with the birds! 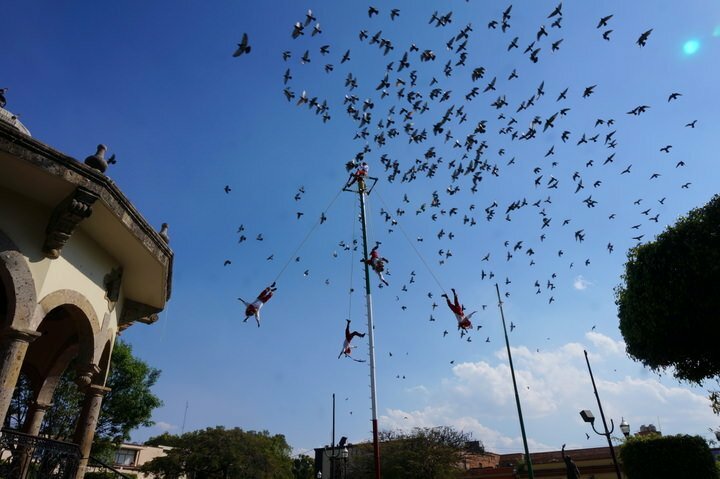 Danza de los Voladores is an ancient Mesoamerican ceremony that is still performed today. 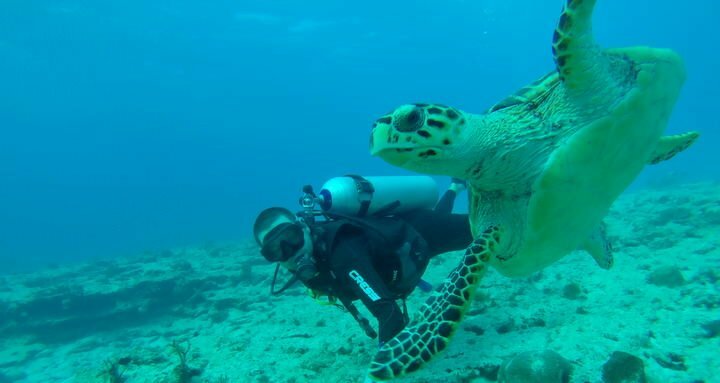 The scuba diving on the Caribbean coast is amazing! Turtles are commonplace off the coast of Isla Mujeres. 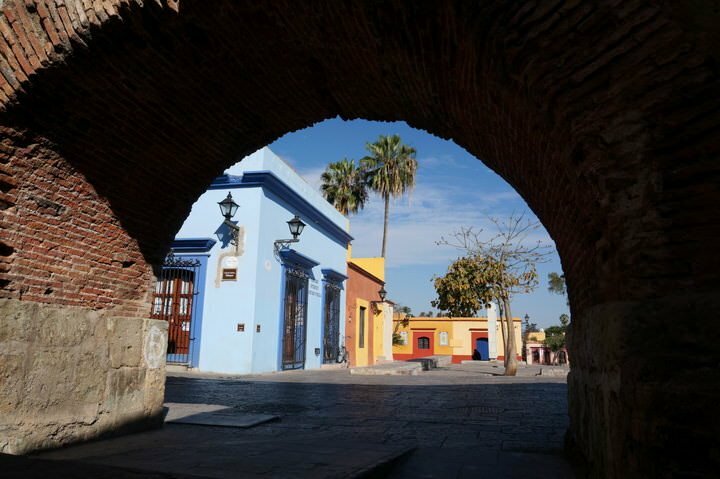 An archway leading to a colourful Oaxaca City square. Tacos are a big part of Mexican cuisine, with each stall having its own unique flavours and ingredients. 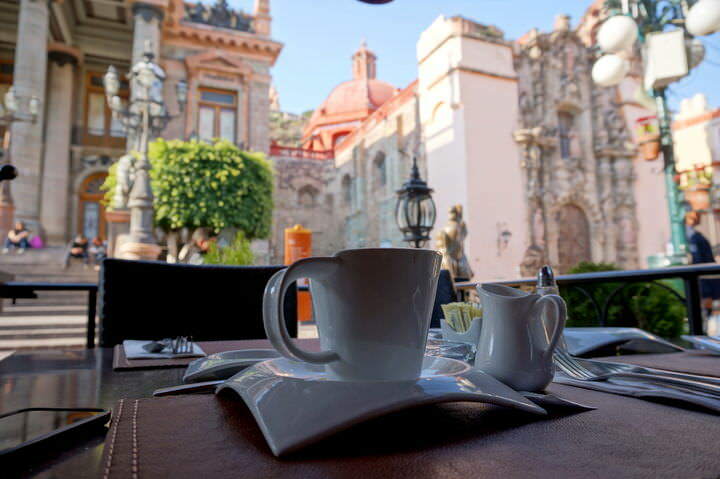 Coffee with a view in Guanajuato. Momentos Sagrados Mayas, an outside theatre performance in the village of X’ocen. Fresh fruits and vegetables are plentiful in the markets. 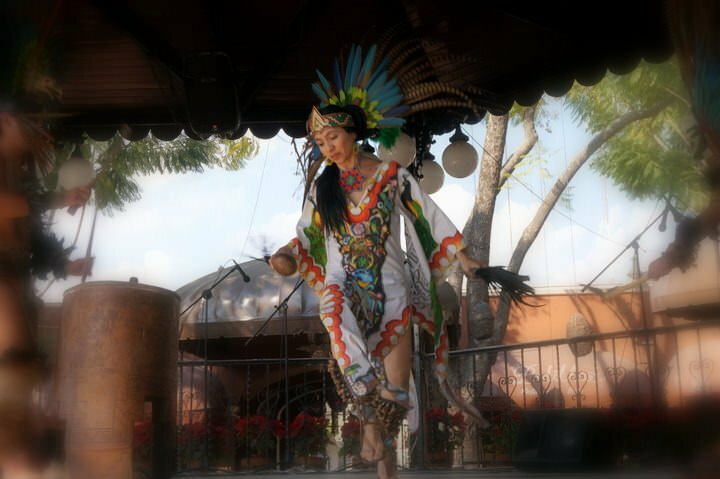 Folkloric dancing at a large outdoor restaurant/cantina in Tlaquepaque. There are many cenotes (natural sinkholes) in the Yucatan area. 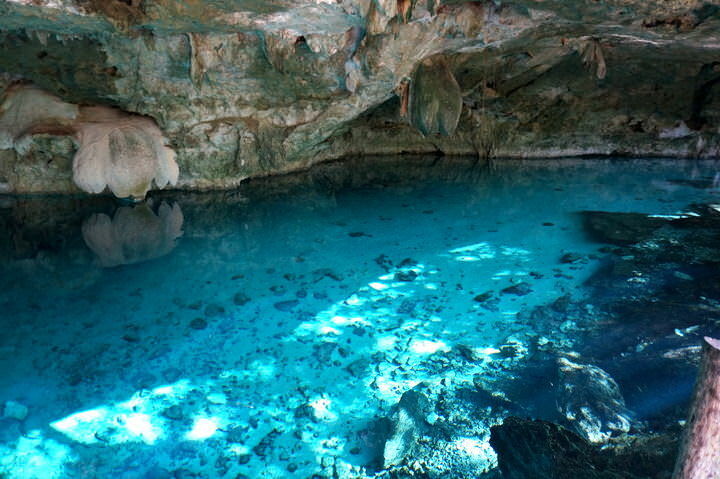 Dos Ojos is crystal clear and allows divers the opportunity to explore its caves! 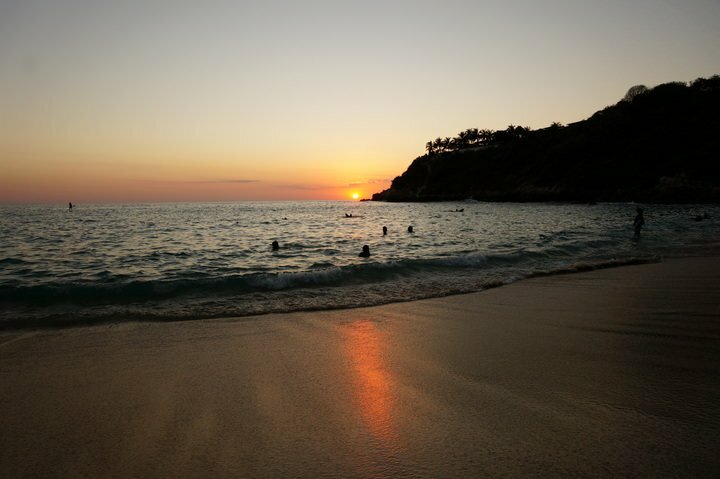 The sunsets off the Pacific Coast are magical, especially at Puerto Escondido. 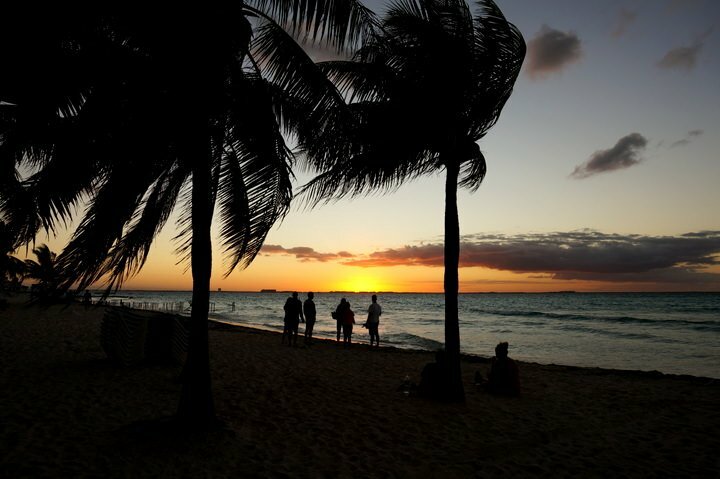 The sunsets on the Caribbean side are pretty spectacular as well. 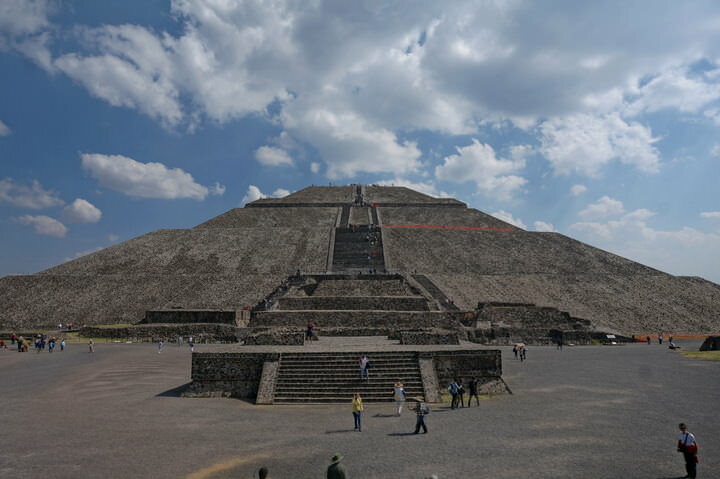 Teotihuacán was an ancient, Mesoamerican city. The ruins here are incredible, with the Pyramid of the Sun being the third largest pyramid in the world! 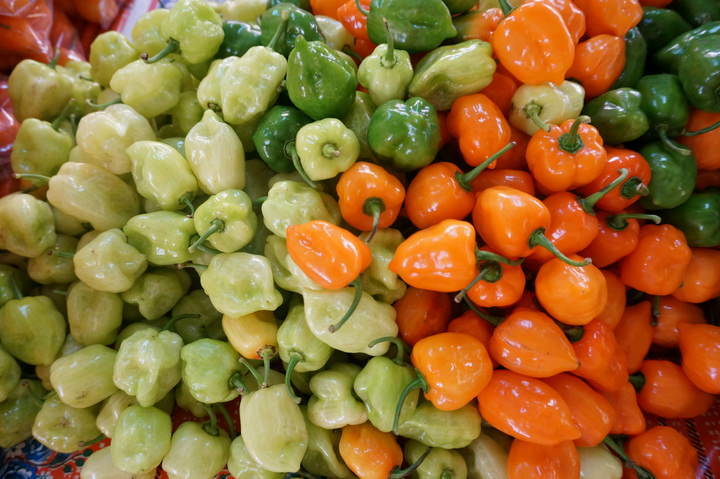 Mexicans like their food spicy and there’s nothing spicier than a habanero pepper. 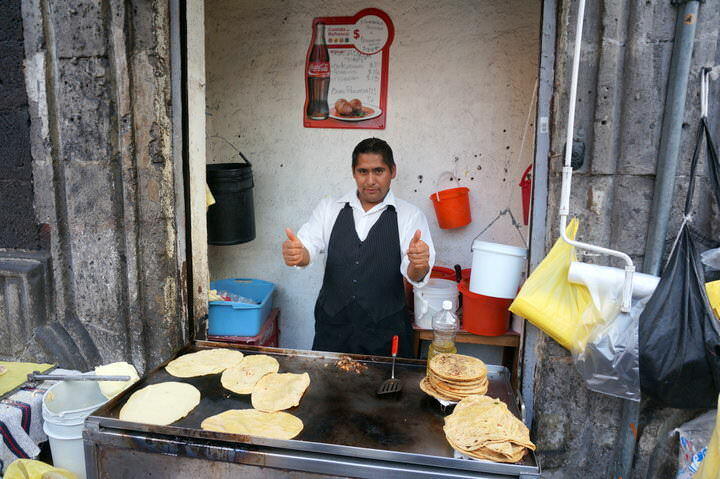 The street-food in Mexico is the best! 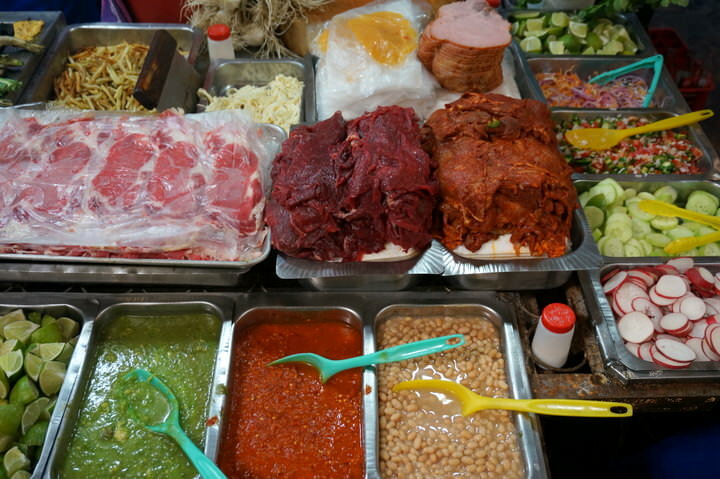 Even if the food station might look a little bit grubby, the flavours that are produced are incredible…especially in Mexico City. The churches and cathedrals in Mexico are incredible. 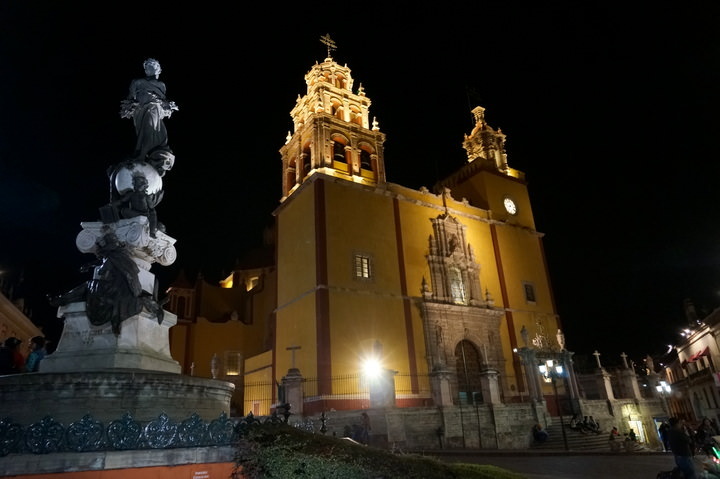 This is the Basílica Colegiata de Nuestra Señora de Guanajuato lit up at night in Guanajuato. 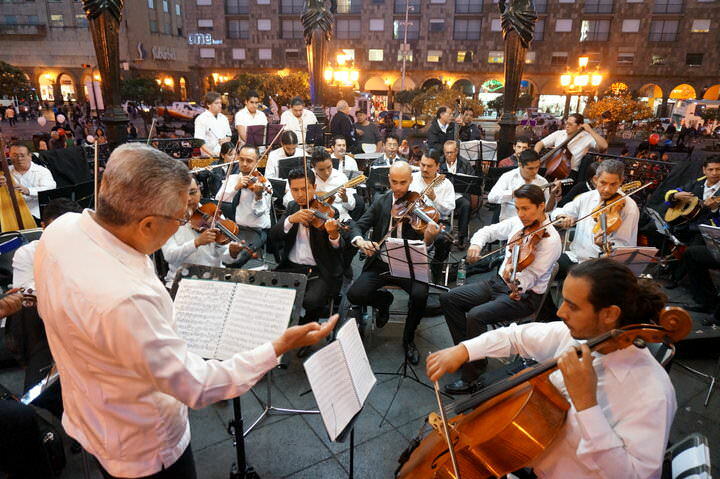 Music is an integral part of life in Mexico, however, most foreigners just envision mariachi bands! Although these sounds are quite common and the typical music of the country, symphonies and classical orchestras are popular as well. This band was playing at an outside plaza in Guadalajara. 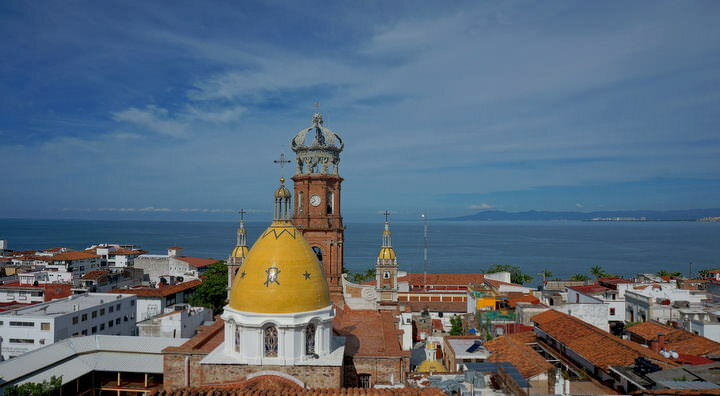 Looking over the Bay of Banderas and the Church Of Our Lady Of Guadalupe in Puerto Vallarta. There are many amazing things to do in Puerto Vallarta and visiting this church is one of them! The markets are plentiful in Mexico! 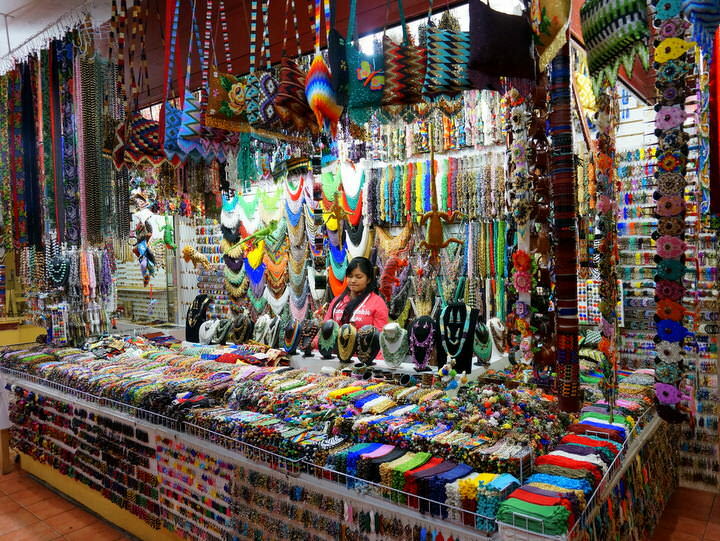 This is one of the many colourful, beaded jewellery stands in San Cristobal. 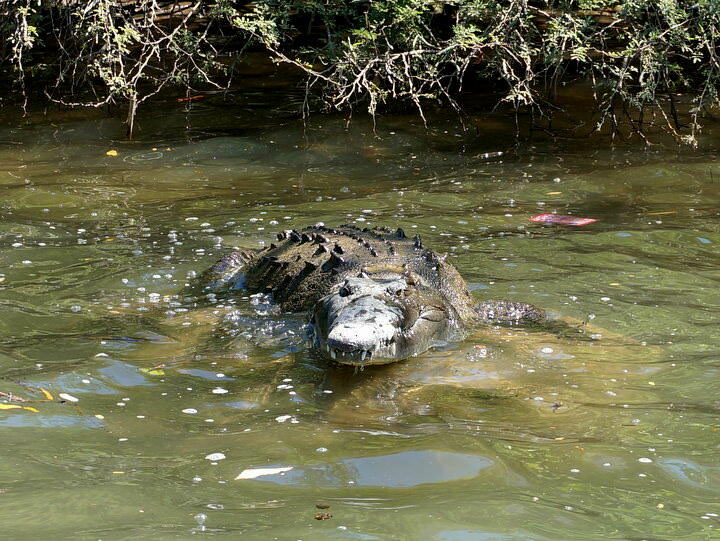 A crocodile cools off in the waters of the Sumidero Canyon, just outside of Chiapa de Corzo. 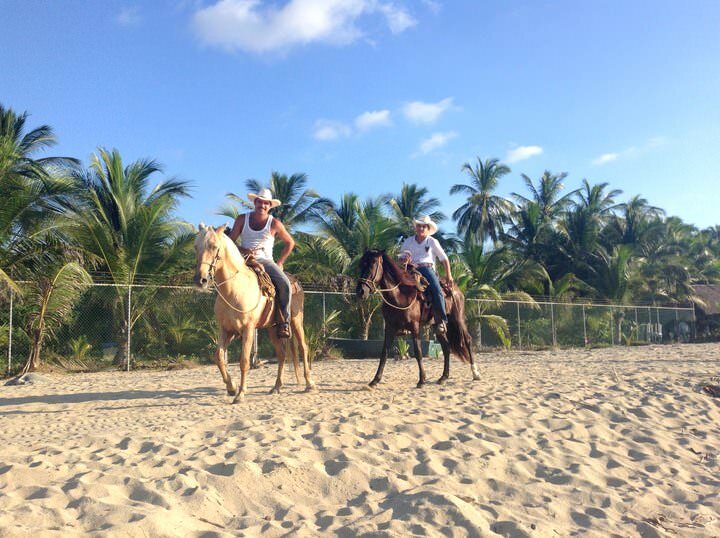 Mexican cowboys on the beach in San Pancho. 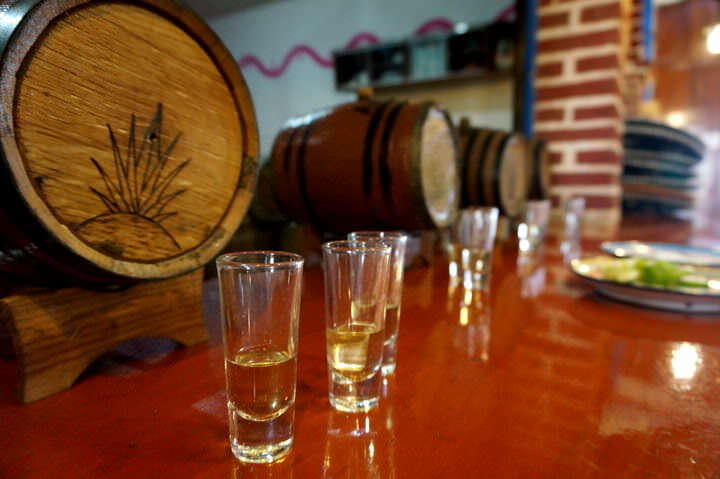 When you think of Mexico, most likely tequila comes to mind! Going to a distillery to see how it’s made and then sampling the liquor is a must. 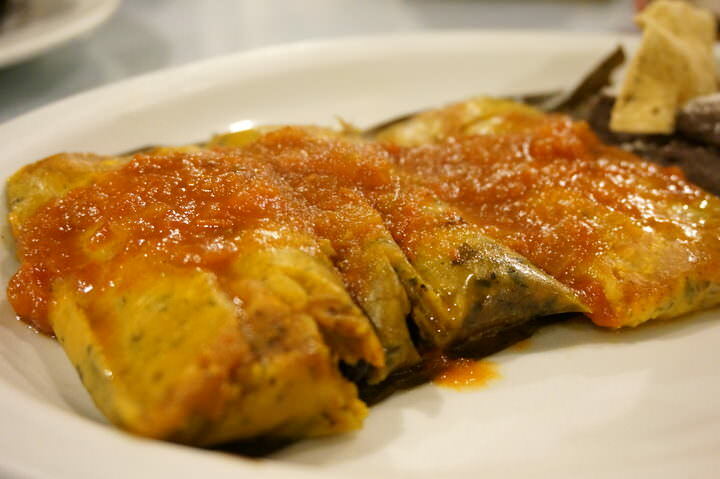 Tortillerias can be found all over Mexican towns and villages. 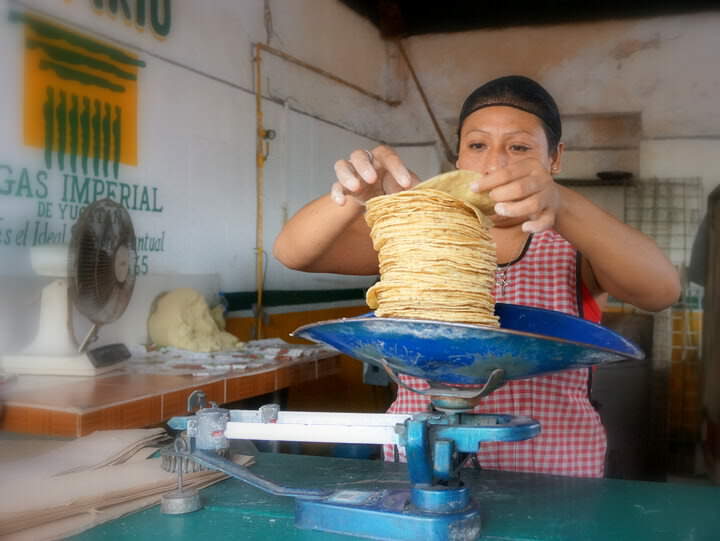 Corn tortillas are made, weighed and then sold to customers. For those of you who think Mexico is strictly for resort goers or Spring Breakers, think again! This amazing country has so much more to offer travellers. We spent almost 6 months in Mexico and couldn’t get enough. It’s definitely a place that we’ll be returning to again and again. wow you guys are great photographers! Mexico is firmly on my bucket list!! Thanks a lot Paula! We’re glad you liked the photos – it’s such a photogenic country. Mexico is a must visit! Wow! What a beauty! How I wish to see all this in person – some day! Definitely! We highly recommend Mexico 🙂 Thanks for the comment. Wow, I’m jealous- Dos Ojos looks so beautiful. Dos Ojos was so crystal clear and beautiful. Nick said it was an amazing dive 🙂 Thanks for the comment. I did not really need to see these stunning pictures as we want to go there for ages! But they made me wanting to go for a trip even more, if this is at all possible. Beauties!!! Love your article and photos. Can I get your permission to repost on my blog? Sorry, but no you cannot publish this article on your blog, as that would be considered duplicate content, which is a big no-no. Great images, just want to go back now. Again. Thank you 🙂 Mexico is amazing, isn’t it?! Chicen Itza and the denotes were my favourite places in Mexico. I absolutely LOVE Mexico and make at least one trip every year. Last year I almost went to Isla Holbox and then chickened out at the last minute due to my lack of knowledge on how to pull it off. Can you share some insight as to how you got there, what it cost and is it safe for me and my 15 year old daughter who will travel with me this year? I usually take one of my daughters each year, but we always stay at Paamul on the Yucatan, just 15 minutes south of Playa del Carmen. I would love to check out a new destination, but am leery of Isla Holbox only because I am not sure how to get there. Thanks for this great comments and feelings about my beautiful country! We love you, Canadian brothers!! Welcome to Mexico anytime! !